Wet shaving is a bit of a lost art these days. While using an electric razor is faster and in some cases easier, this is your face we’re talking about. You should treat it with care, and one way to add a little more luxury to your day can be by wet shaving. 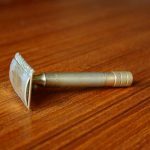 In this article, we will take a look at what exactly wet shaving is, what tools you’ll need to start wet shaving, and the best wet shaving starter kit options available today! If you’re unfamiliar with the term, wet shaving simply means to shave your face using water. Simple enough, but you’ll also want some sort of shaving cream or lotion and a bristle brush of some kind in order to stimulate your hair follicles. With the right tools, wet shaving can become a very calming and tranquil part of your daily routine. 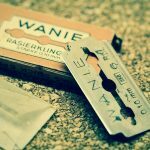 If you want to begin wet shaving your face, you’re going to need a shaving kit and a fair understanding of how to wet shave. • First, you’ll need a razor. You can always go purchase a disposable razor pack at your local drug store, but this isn’t the kind of wet shaving that we are talking about. For a refined and classic feel, we recommend learning how to shave with a straight razor or high-quality weighted metal safety razor. It may be a bit of an investment at first, but this is the only face that you’re going to get, so why not care for it the right way? • Next, you’ll need shaving balm, butter or lotion. This is going to lubricate and guide your razor while keeping your skin moisturized and protected. A quality shaving cream may last for months or in some cases even years! The better the shaving cream, the smoother your shave will be. The right cream can reduce or even eliminate irritation and may also nourish your skin in the process. • You’ll also need some kind of bristle brush to apply shaving cream with. This will stimulate your hair follicles and help them to stand at the ready as you cut. Your brush will also aid in exfoliation. This can reduce occurrences of ingrown hairs and keep your skin cleaner and healthier. 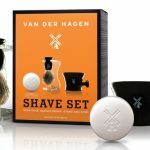 • Keep in mind that the best wet shaving starter kit varieties will include all of these necessities and sometimes more! • Start with a clean and freshly washed face. This will ensure your skin and hair follicles are clean and soft and that your pores are open. For more tips on preparing to shave, see this guide. 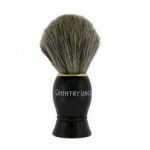 • Using your shaving brush, whip shaving cream into a thick lather and apply it to your face in a circular motion. 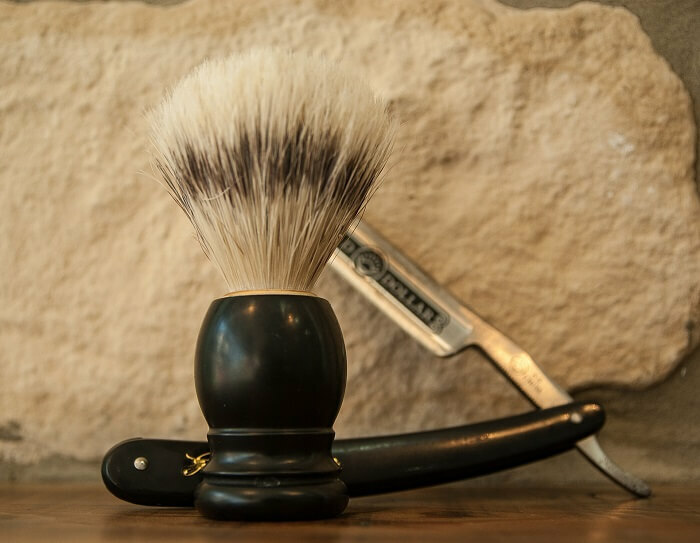 • There are a few different ways to shave, but we recommend the gentlest: shaving with the grain. This means shaving in the direction that your hair naturally grows. It may take a bit longer, but with a straight blade razor, you’ll get close enough to the skin to still manage a very clean, smooth shave. • After shaving, apply a salve, aftershave lotion or balm. So you’ve decided to wet shave! Congrats, it can be great for your skin. Below we have listed the top 4 best wet shaving starter kit options available to you today! This is actually by far the least expensive option on our best wet shaving starter kit list. That mean’s it’s the perfect kit for men who want to switch to wet shaving but aren’t sure if they’ll like it. 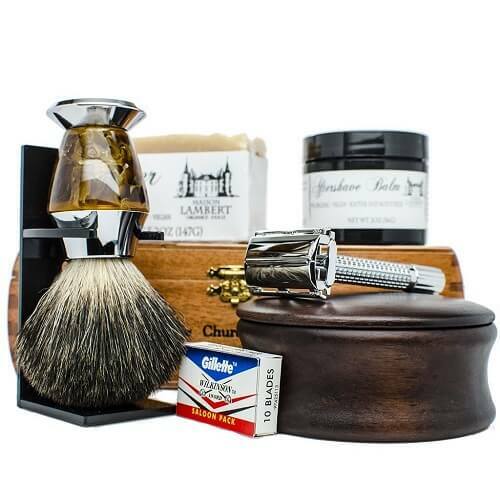 It’s a quality kit that includes a durable brush made of 100% Pure Badger hair, a classic apothecary mug, a bar of premium shave soap for sensitive skin, and a razor/brush stand. 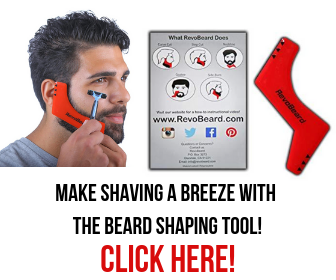 You will have to order your razor and blades separately, but some users prefer this. By far this is one of the best wet shaving kit options out there! 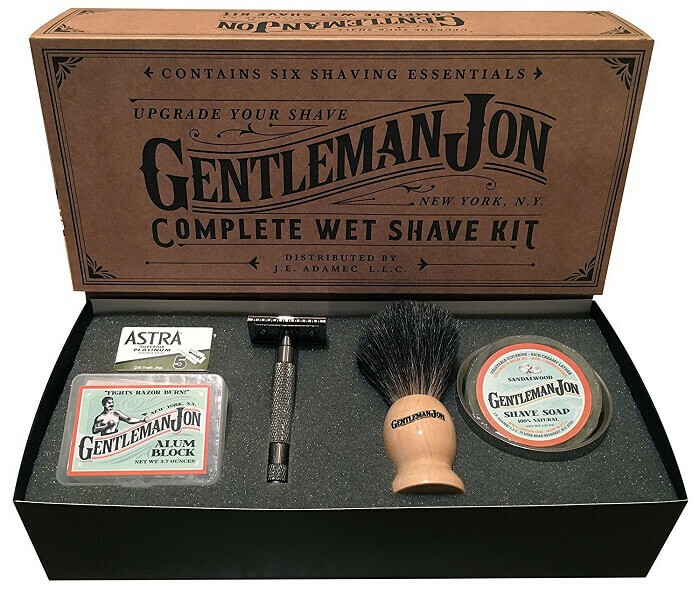 It’s a premium kit of the highest quality that not only includes your razor, badger hair brush, and shaving bar, but also spare blades, a shave bowl, and an old-fashioned alum block. 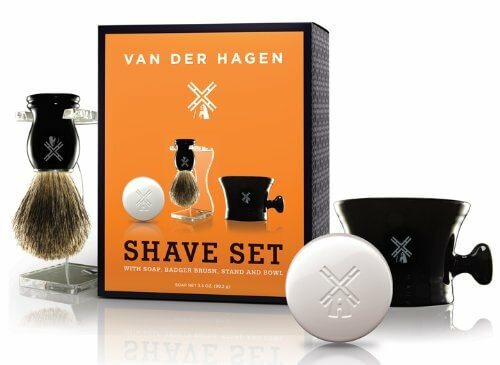 This kit makes shaving more of an indulgent experience and less of a chore. It has everything you’ll need to start wet shaving with ease. If you’re in search of a high-quality grooming experience, this is the kit for you. 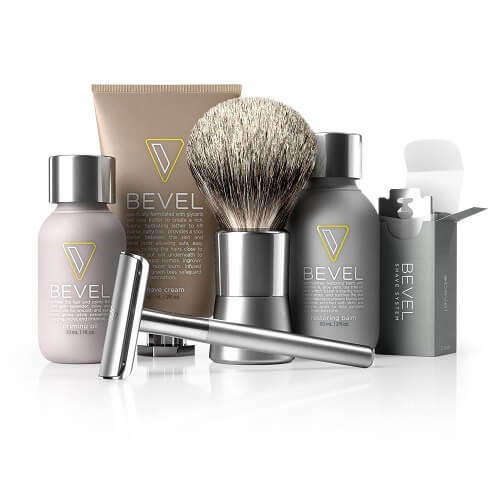 Specially designed to care for sensitive skin, this kit includes a Bevel brand razor and blades, badger brush, a supply of priming oil, shave cream, and aftershave balm. Do you really want to go all out? Then this will be the perfect kit for you. 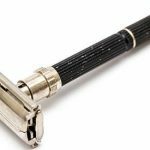 This handmade set not only includes a double edge safety razor with 10 Astra blades but also has an incredibly beautiful pure black badger hair brush with a matching black shaving stand. If that’s not enough, it comes with an all organic shaving soap bar, alluring organic aftershave, and a free organic body soap bar! The whole thing is tied together by a unique and gorgeous classic wooden case. In conclusion, wet shaving can be a fantastic way to pamper your skin and add some tranquility to your daily routine! 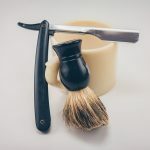 We hope this guide of the top 4 best wet shaving starter kit recommendations for 2019 has been helpful!